Sometimes the dynamism of one team and coach can make the difference in jumpstarting a working relationship with an entire athletic department. Nowhere is that more evident than with Coach Meredith Spencer-Blaetz and her field hockey program at the Stevens Institute of Technology. A beautiful urban campus overlooking the NYC skyline in Hoboken, NJ, Stevens Tech has become a Campaign Sports fundraising mainstay thanks to Meredith and her willingness to take a chance on a fundraising program that proved to be #MoreThanCrowdfunding. This fall, Campaign Sports has had the pleasure of helping SIT Field Hockey raise over $11,000 for their team trip to Argentina in 2019. Their recent success has lead to several other sports programs at Stevens Tech joining the Campaign Sports family, including women’s lacrosse, softball and volleyball respectively. 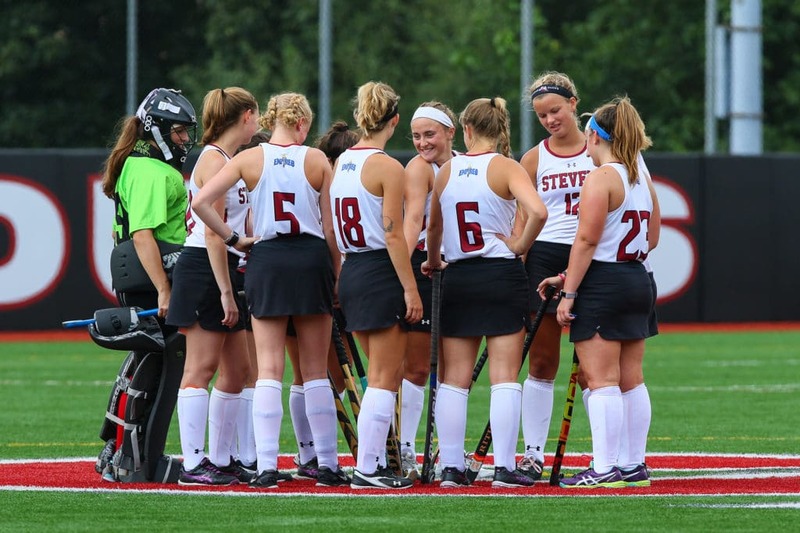 On behalf of the entire Campaign Sports family, we would like to say congratulations to Coach Spencer-Blaetz and Stevens Tech field hockey for not only their exceptional fundraising success, but also Thank You for helping to cultivate a strong working relationship with the Stevens Tech Athletic Department as well. We look forward to many more years of success together!